Let me start by clarifying one pretty important thing: a have absolutely no idea what Uncle Boonmee Who Can Recall His Past Lives is about. I have seen a lot of bewildering pictures over my 30 plus years on this planet, and this is at or near the top of the list of being utterly head scratching cinema. Despite this, I really, really enjoyed it. Uncle Boonmee is suffering from acute kidney failure and his days are sadly numbered. What little remains of his life he wishes to spend with his loved ones, including the spirit of his late wife and his son who has been missing for some time, but he returns...as a monkey with glowing red eyes. With them, Boonmee explores his previous lives in a search for answers as to why his time is ending with such an unfortunate fate. Okay, so I suppose I can't say I have no idea what it is about, that seems like a lie. Clearly the concept of reincarnation is vital to the story, but what occurs along the way is what has me baffled. 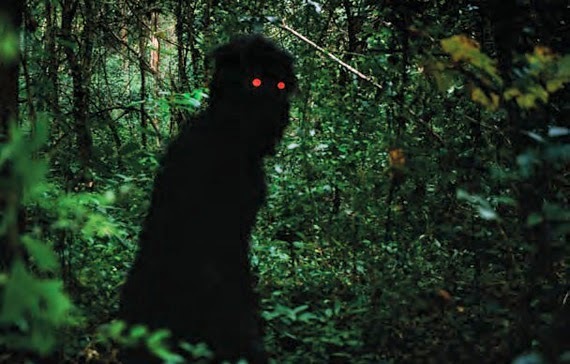 Director Apichatpong Weerasethakul crafted something enigmatic and completely fascinating here, and being that I am open minded regarding the topics of life, death, ghosts and the possibilities of an afterlife, I was pulled in early by this one and the film never let go. Rather than becoming frustrated by such unique, confounding cinema, embrace it. I will eventually come back to Uncle Boonmee Who Can Recall His Past Lives and see if I can start peeling back the layers.